Barbie's from 1974 -1976 are becoming more popular as the years go by, and some are difficult to acquire! Below are the dolls that were released during this time period. I have included the 1977 Partytime, Superstar, and Equestrienne Barbies too! Click the links above each picture to take you to the dolls own page. 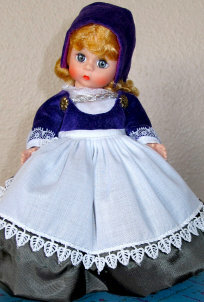 There are European dolls as well! Other 1974 -1976 Barbies (if they were also available before 1974), and Friends can be found on their own page by clicking the drop down menus above. To see foreign dolls (1955 - 1989) from Japan, Europe, and Canada, click the drop down menu "More Items", then "foreign dolls".